I thought I might show an interesting comparison between three cars, that look nearly identical, made by three different manufactures. 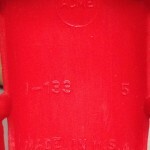 Acme, Thomas and Keystone produced these plastic cars. All three cars are 4.5 inches long and 1.5 inches wide. 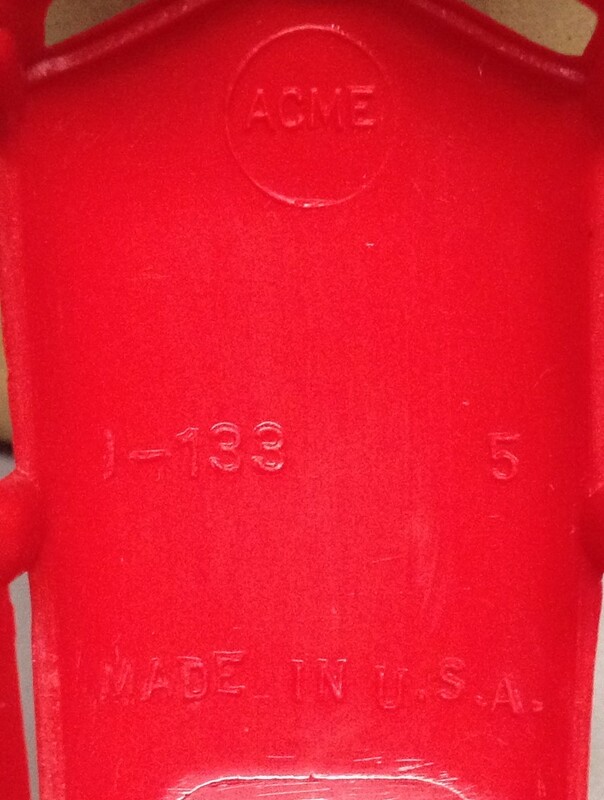 The Acme and Thomas cars are identical and both carry the model number 1-133. Acme became Thomas so this explains the cars being identical. Both are made of plastic with black rubber wheels. The Acme car is made of a slightly heavier, more “flexible” plastic while the Thomas is made of thinner and stiffer plastic. 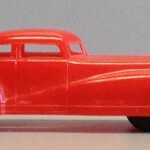 The Keystone car is very similar in style but has significant changes in functionality. The hood is hinged to be opened and the engine is a part that can be removed. 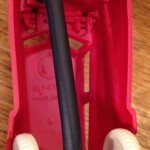 The car also has the components to allow it to be filled and then emptied of “gas”. 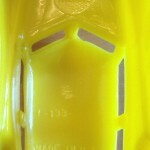 Keystone used a heavier plastic that again has some flex to it and used white plastic for the wheels. This car is a K-48. The reason I am doing this comparison is that Thomas was contracted by Keystone to produce plastic cars for their ferry boats and play sets. At this point I am unsure of the time for the use of the Keystone and Thomas cars. It appears that Keystone was producing their own vehicles then contracted with Thomas sometime around the end of WWII. What I don’t know is how long Keystone continued to produce the fillable cars. I have a fillable car and box that is post dated Jan. 27 1950. Did this end with the switch to Thomas vehicles or did Keystone overlap the use of both? 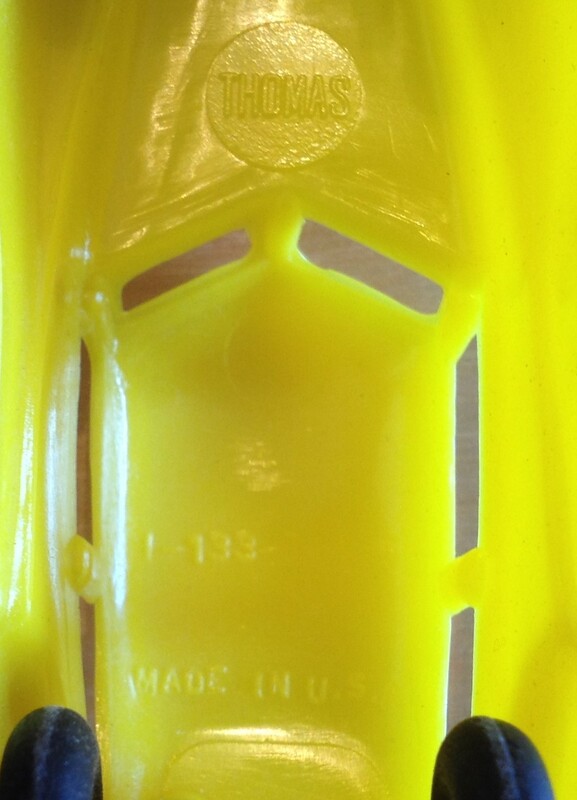 A side note: The Thomas car in the first photo is red but the underside view is of a yellow car. Both are identical other than color.